About Translation: Top 100 Language Lovers 2013 – Nominate your favourite now! Top 100 Language Lovers 2013 – Nominate your favourite now! The bab.la language portal and the Lexiophiles language blog are announcing the start of the contest to choose the Top 100 Language Lovers. 1. Language Learning Blogs: blogs about the language learning process, both from the learners and teachers perspective. 2. Language Professionals Blogs: blogs by people using languages in their profession, such as translators or interpreters. 3. Language Facebook Pages: Facebook Pages related to language topics, such as dictionaries, translation tools, language lovers’ communities and more. 4. Language Twitter accounts: Twitterers who share content about languages. The nominations for the Top 100 Language Lovers 2013 competition are open until May 20th, 23:59 pm German time. 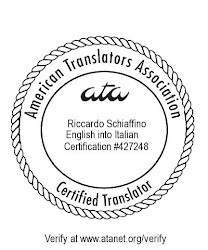 About Translation was chosen among the top 100 language blogs in 2008 and 2011, and in 2011 among the top 25 language professionals blogs.